Cascade CMS is available from any computer with internet access that is connected to the campus network. Special software is not required. Open the Mozilla Firefox browser and navigate to webedit.brandeis.edu. Best Practice: We recommend using Mozilla Firefox for all web applications, including Cascade CMS. 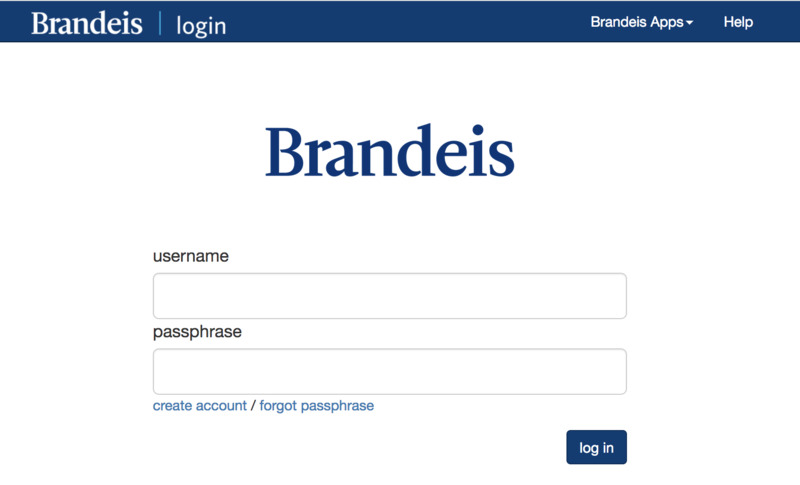 The Brandeis Log In page should appear. Enter your UNet username and passphrase. Click on the Log In button. To access Cascade CMS off campus, you must install Pulse Secure, a standalone program that allows you to connect to Brandeis’ virtual private network (VPN). To install Pulse Secure, open the Mozilla Firefox browser and navigate to wormhole.brandeis.edu. Toward the bottom of this screen, click on the Start button across from the Pulse Secure icon to start the installation process. When the installation is complete, click Connect, then navigate your browser to webedit.brandeis.edu. You should see the Brandeis Log In screen. 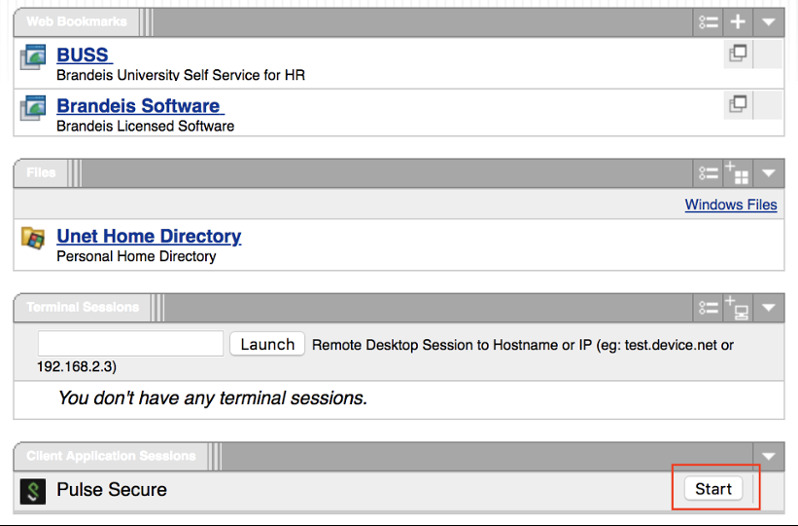 Enter your UNet username and password to login to Cascade CMS. Note: Once Junos Pulse Secure is installed, you no longer need to log in through Wormhole. Simply open the Pulse Secure program and select Connect, then navigate your browser to webedit.brandeis.edu. Read instructions for viewing webtest pages from off campus.